If you’ve used Google for last-minute hotel booking or another hospitality service recently, you’ve probably noticed quite a few ads throughout the search engine results page. It’s quite possible that after you made that search, you saw advertisements on your Facebook, Instagram, or YouTube feed related to the search you’ve made. Advertising online is getting more and more sophisticated and is showing no signs of slowing down anytime soon. Pay-per-click advertising (PPC) is a digital marketing strategy that can send highly qualified, targeted web traffic to your website, improving any online bookings, sales, and lead generation you may be doing. Unlike other online marketing strategies, PPC offers immediate results and can make your business visible on some of the world’s most popular websites, such as Google, Facebook, Instagram, Youtube, and other popular sites. 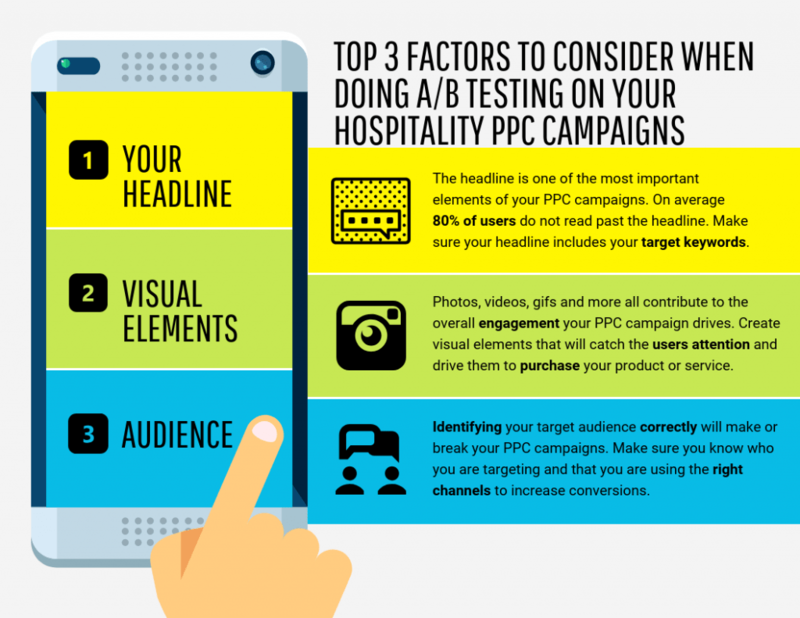 But, PPC for hospitality businesses isn’t as easy as, “set and forget.” Without a proper PPC strategy in place, you can waste thousands of dollars on paid advertising campaigns that don’t generate results or a positive ROI. The secret lies in careful planning, monitoring, and optimizations that will maximize your online marketing efforts. Pay-per-click (PPC) advertising is a model of internet marketing in which business display ads on a host site, such as Facebook or Google, and pay the host site a fee every time their ad is clicked. Depending on the platform, you can target your audience through a number of segments. On search engines, you can target your audience by what search terms they’re looking for, where they’re located, time of day, and another number of metrics. On social media sites, targeting gets even more advanced, as you can create custom audiences based on hobbies, interests, age, gender, region, even by life events such as recently getting married. 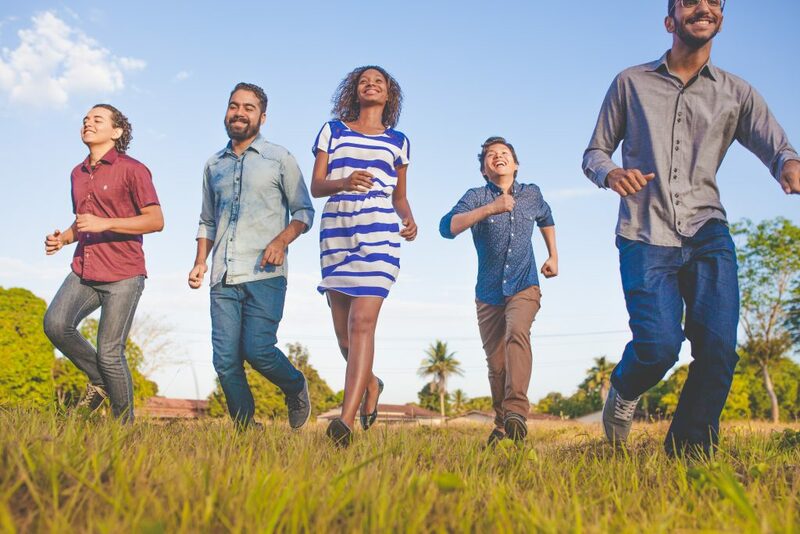 The ability to create highly targeted, trackable advertising campaigns is what separates PPC apart from from traditional forms of advertising. With PPC, you know exactly how many people viewed your ad, for how long, and whether that click turned into an actual sale or booking. With this knowledge, you can tweak and tinker with your campaigns in order to lower your cost-per-click and achieve maximum ROI. Paid search ads are those that show on search engine results pages, when someone interested in a keyword searches on Google for example. With search ads your hospitality company would be on top of the page when Google conducts the search. Display ads use images, videos, and text-based advertising to promote a key service or product you may want increase sales in. These display ads are shown on relevant, third- party websites. If a web user visits your site and then goes on another relevant site, your display ad will show on the page to create exposure to your product or service. Social Media ads are widely used in the hospitality industry to target your niche market and to collect data on the platform to develop better targeting methods. Social advertisements are paid ads that appear on social networking sites such as Facebook, Twitter, and Pinterest. Be use to analyze your target market in order to develop the right plan, on the right platform. Increase reservations, bookings, special offer purchases and more with an optimized PPC strategy. Take time to review your search traffic on your hospitality website and determine where the majority of your high-value clients are coming from. You can also analyze what they are most interested in and guide your PPC campaign according to this. When you define your audience correctly, your pay-per-click campaign will see improved results because you are reaching to people with the highest interest. Consider these factors and use them to develop a new pay-per-click campaign to see if your changes improve the performance of the campaign compared to the original. According to Google, 51% of hospitality searches queries are coming from mobile users versus 43% coming from desktop computers. Keep this in mind when creating display ads, social media ads, or search ads. You do not want a potential customer to search for a related keyword in your industry and not know what the ad is trying to tell them because you did not make the ad mobile- friendly. Test your ads for mobile compatibility before you publish them to fix any kinks they may have or change the ad completely. Google will factor in the mobile usability of your ad to determine it’s ad score, so your ad will perform better compared to your competitors. The foundation of all PPC campaigns is a relevant keyword strategy with enticing photos, videos, ad copy, and links. Choose keywords that are important to your overall PPC goal. Consider Your keywords should direct users to offers that are tailored to their needs and create an incentive for them to buy. To maximize your PPC investment, create a keyword planner that includes all the search terms your high- value customers are using and other semantic keywords related to your hospitality business. You can include location-based keywords if you are trying to market to potential clients in your area. 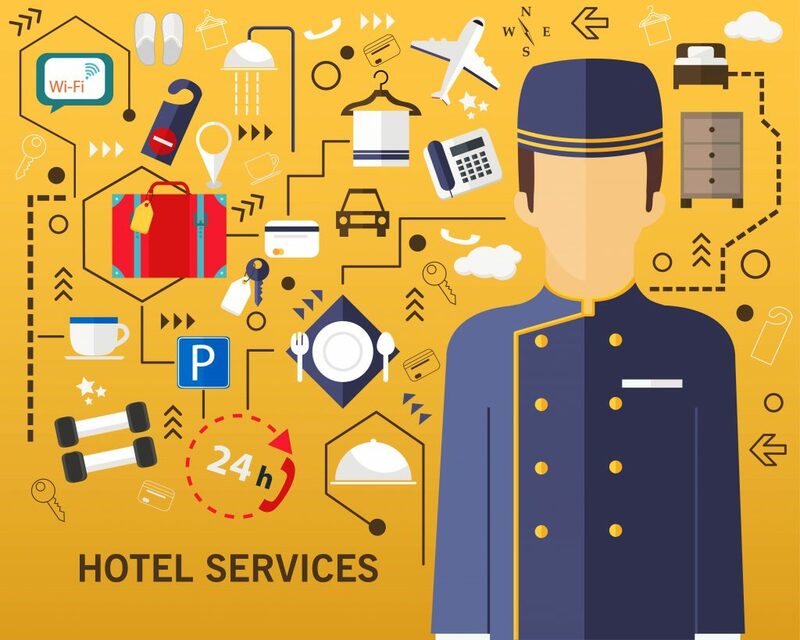 PPC advertising is widely used in the hospitality industry, Optimum7 can set you apart from you competitors by creating optimized PPC campaigns for your hospitality business. Contact us today to discuss your PPC opportunities.